All Intercoolers are not made equal, most full height Intercoolers use a 40mm core for their cooling but the NEW GEN 2 Pro 400 uses a very efficient Bar and Plate Type 50mm Core, so it's 25% larger than any other full sized cooler on the market. The design team were asked to Produce a cooler that would allow the X-47R and the new X-57R turbos to work to well over 400 bhp. The only way to run that sort of power from an intercooler is to increase the size of the core. The GEN 1 Pro 400 unit already runs a full height core so the only way to go was to run a thicker core. Therefore, out goes the 40mm and in comes the 50mm which at 25% larger, would increase cooling performance massively. Together with this, the cooler was positioned on the car at a slight angle meaning the top would be slightly further forward than the bottom, much like on WRC cars. This has the effect of catching more air than a conventional cooler as the majority of the air over the front of the car would be flowing up towards the bonnet and over the car. The next design feature was the entry angles of the end tanks, we've purposely angled those upwards which forces the air from the lower portions up to the top of the cooler, again, imProving the intercooler efficiency. This unit is a direct replacement for the stock Ford intercooler, no cutting to the vehicle is required and it supports power outputs to 400 bhp which will suit all Pumaspeed X Series Hybrid Turbos and GTX Power Kits. These design features are certainly a step forward for ST180 power generation! 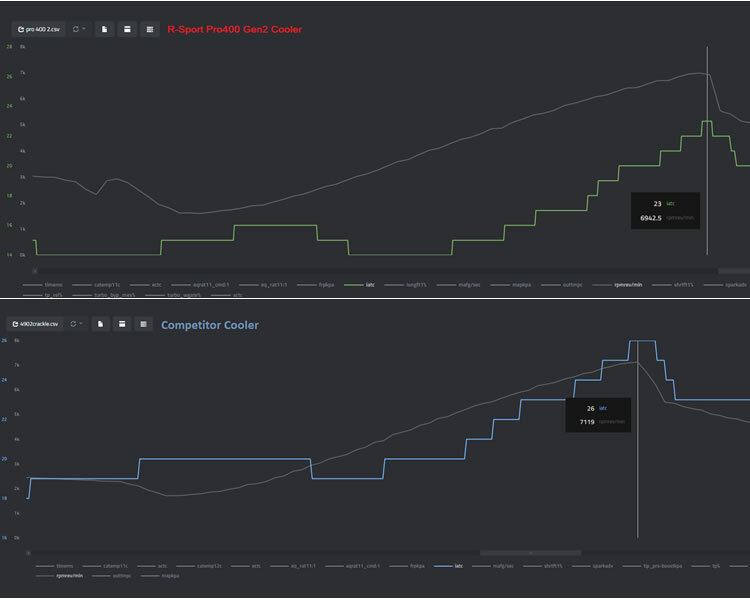 Finally some data for the new Pro 400 Gen 2 from Pumaspeed's own brand R-Sport. I have literally had the bumper off this car 10 times or more, trying out every cooler I can get my hands on! Remembering the spec of my car, as its very relevant, you cannot compare temps from a hybrid to that of a MAXD Out 2R. So, X47R, V4902B software, currently pushing insane boost nearly 1.9 bar (On TS Actuator for base file testing but going back to Forge shortly which will lower boost at top end to more sensible levels). So really this is what to expect from an X47R flat out, not a normal end user set up that I dial back a bit. The coolers to beat are the Airtec Stage 3 and the Wagner, and the New Pro 400 GEN 2 certainly delivers. After an average result on the original Pro 400 which used a very lightweight tube and fin core, Pumaspeed took on board this criticism and put together a pretty unbeatable unit. With 2 x 4th gear pulls, the max it went over ambient was 11c which is on par with the larger stepped core of the Airtec. It's a little better than the Wagner too, which is normally 12-14c over ambient. These are extreme 1500-7000rpm pulls in 4th, lots of load, hitting ***mph each time. Recovery seems good too - Not as rapid as the Wagner, but certainly no slower than the Airtec and a good sign is temps dropping when on boost initially. Pressure drop is hard to measure by just throwing on a cooler, but turbo duty cycle is an indicator, and it was a few % lower than the Airtec, showing that the smaller volume has a slightly beneficial effect as the turbo is working less hard to meet demand. In terms of driving, I could tell no difference in response, it was already top notch. I'm very pleased that we have a competitive R-Sport cooler we can recommend to customers. I haven't dyno'ed yet, but as Airtec and Wagner cars are always very similar, I'd expect it to be pretty much the same. With a cost from just £429 inc VAT with a satin black finish, its amazing value for money, and should be a serious consideration for any ST180 owner, well done Pumaspeed!" 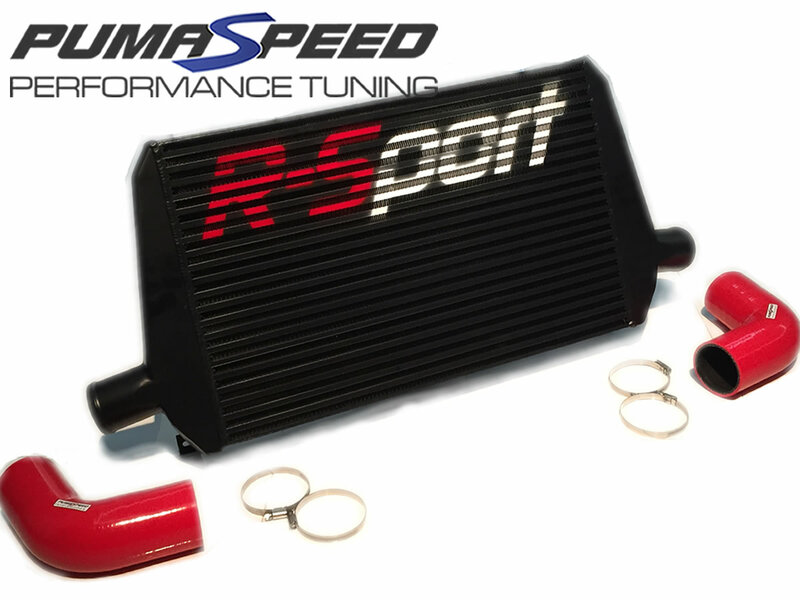 The Pumaspeed Workshop team are ready to fit the R-Sport Pro 400 GEN2 Intercooler Fiesta ST180 in our Head Office located here. We estimate the labour time to be approximately 0.99 hour(s) costing £77.22 inc VAT. Therefore making parts and labour a total cost £507.20 (inc. VAT). 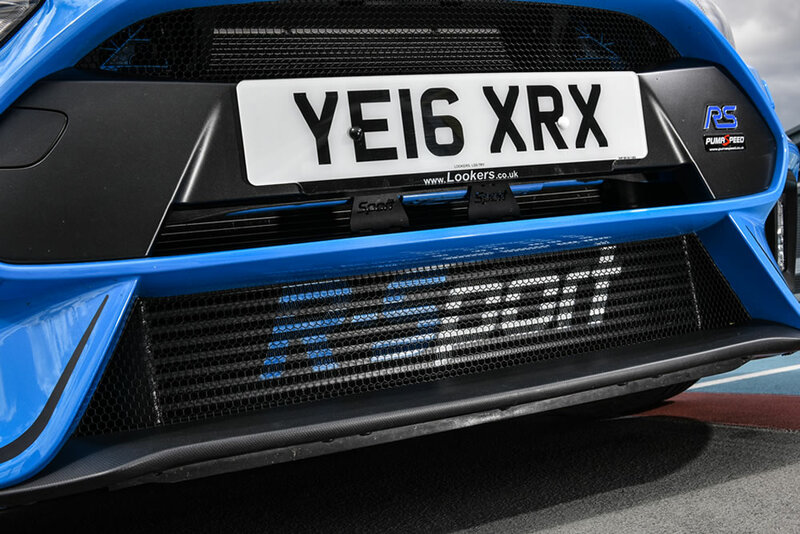 Pumaspeed have a specialist distribution team that can dispatch the R-Sport Pro 400 GEN2 Intercooler Fiesta ST180 to any destination worldwide.